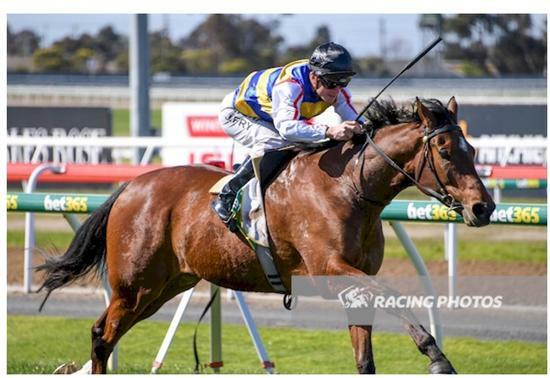 Not An Ambiturner won race 4 at Geelong today, with a bold front running ride by Jarrod Fry. It was a fabulous training effort by Andrew with the horse only having his second start over the 2200m. Jarrod took the son of Hard Spun to the lead shortly after going out of the straight the first time, setting a nice tempo in front to suit the horse before quickening up from the 800m, he sustained a solid gallop all the way to the finish line. It was great to have some of his owners on track to watch the win, including long time clients Mike Hirst, John Fitzgerald, Peter Washington and Alex Morrison .